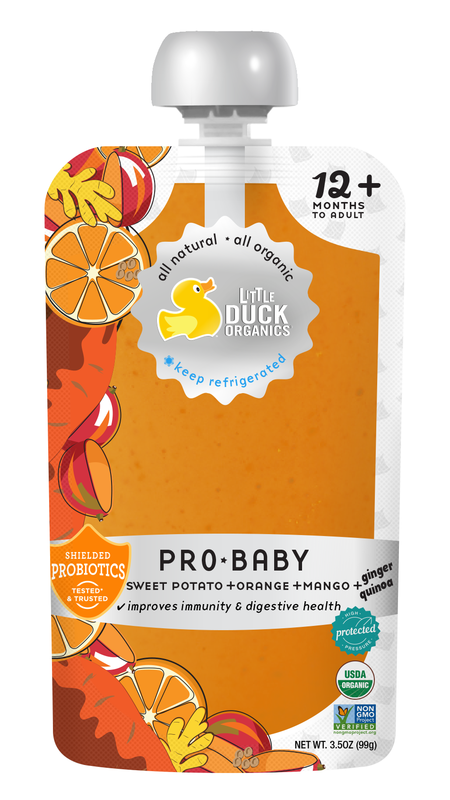 How does a brand of freeze-dried snacks for toddlers enter the baby food category? 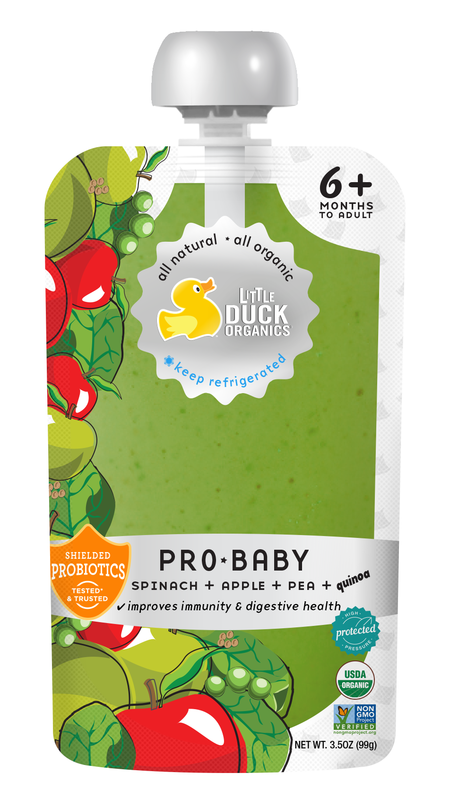 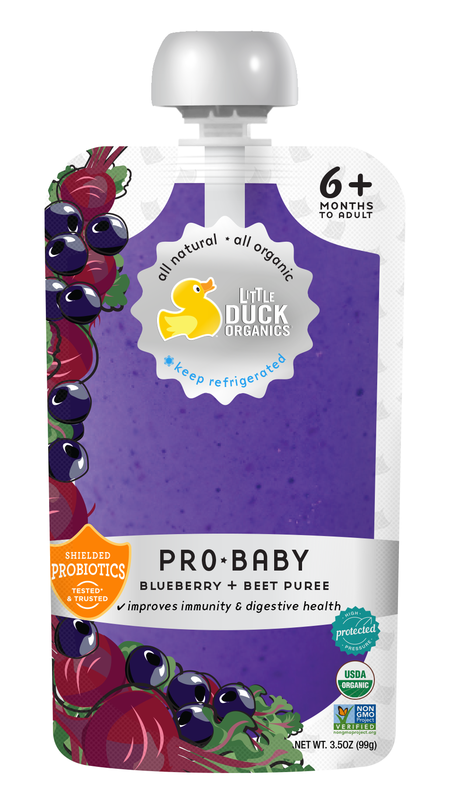 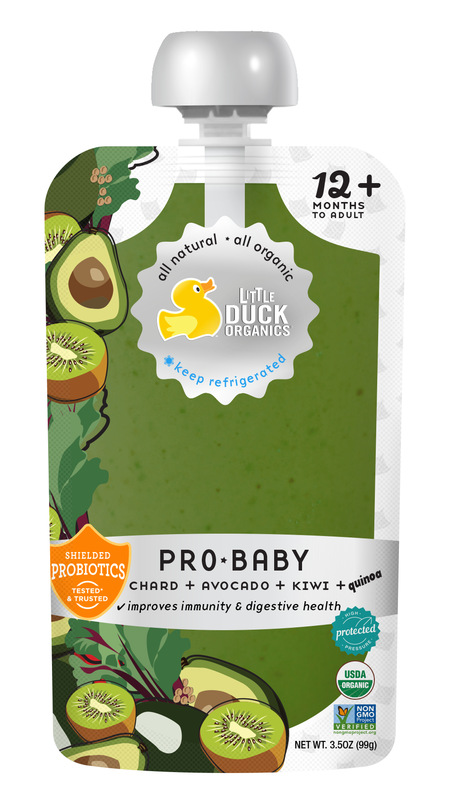 Little Duck Organics had established a loyal following with its bite-sized snacks for children and now wanted to expand into the newly established, fresh-pureed, refrigerated baby food category. 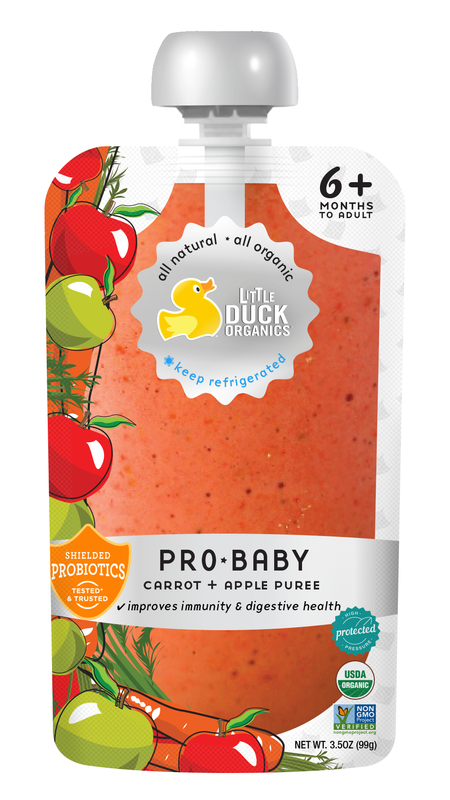 Working closely with our client we concepted an upscale, best-in-class, baby food. 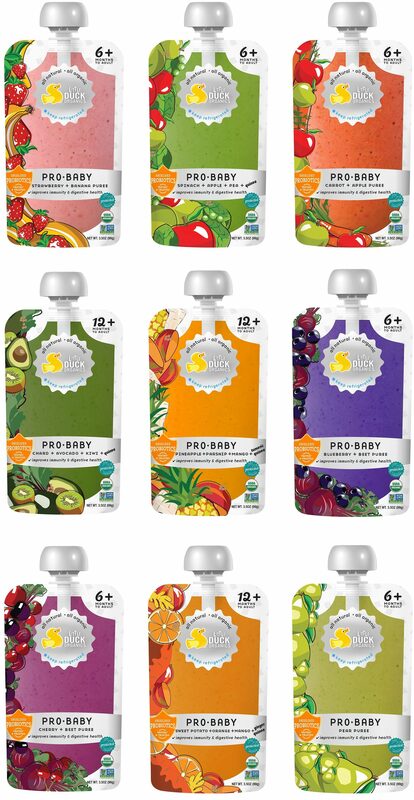 Our recommended name, Pro-baby, was designed to communicate the brand’s inclusion of probiotics in its formulation, as well as communicate a premium or “professional level” of baby food.